Paper reviewed: “John Kennedy’s Care Home Enquiry“, by John Kennedy. Joseph Rowntree Foundation, October 2014. 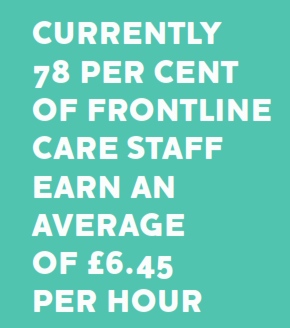 Having just reviewed “The independent care homes sector: implications of care staff shortages on service delivery” by the Joseph Rowntree Foundation in 2002, I was sent to the JRF website where I found this amazing report. I felt compelled, having blogged about a dated one, to blog quickly about is successor. Really, you should read it if you are at all interested in care of the elderly in the UK. The problems highlighted in the 2002 report have, sadly, not gone away, but the problem is now put in clear relief by this report. There are structural changes need to the provision of care, to change the focus away from monitoring and recording to genuine caring and valuing the role of homes for the care of the aged, and for the people who deliver front line care. “care work requires incredible levels of skill and personal abilities”. Should care homes be run for profit at all? It’s a question asked in passing in the report. Whatever the answer, they currently are, and it doesn’t take a genius to work out that the financial model is unsustainable, that low wages will mean loss of good staff, and that there are resultant implications for care. Kennedy, who is Director of Care Services at the JRF, and working in and with the care industry for decades, has been transparent in his approach. He’s been clear about the requirement for change. He’s suggested some approaches for improvement, including structural (health and social care no longer artificially separated; a more positive approach toward the industry); regulatory (a regime that values care above paperwork and structurally involves all stakeholders, regulating rather than inspecting); skills and support for workers (notably at management level) and so much more. Grab a copy of this report and give it to your MP! You’ll thank Kennedy when care standards are what we wish for our own elderly and even ourselves.